These title cards by Robert Dawson appear throughout Cameron Crowe’s Singles (1992). Apr 3 2018Isn’t it better? Remy Charlip, Arm in Arm: A Collection of Connections, Endless Tales, Reiterations, and Other Echolalia, 1969. Our friends in Tanlines, Eric and Jesse, are both stay-at-home dads. They released a new EP of kids music today, covers of classics like “Itsy Bitsy Spider” and “Row Your Boat”. Listen to it here. As with their previous album cover, we helped out by putting tiny type in the corners. The photo, which is not of their kids but just two kids that sort of look like them, was taken by Jenny Hueston. Playbill for the 1988-89 Broadway revival of Thornton Wilder’s Our Town, in which Spalding Gray played the Stage Manager. This is our incomplete collection from the 1975–1977 Freud Pelican Library, purchased from the overflowing basement of the Abbey Bookshop in Paris. 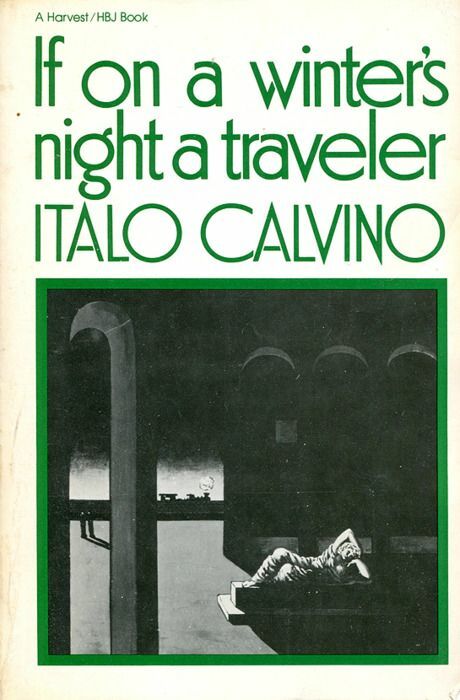 The dust jackets for two early editions of Italo Calvino’s If On a Winters Night A Traveler featured repeating book covers, stacked on top of one another or receding into the distance like an infinity mirror. On his blog, Peter Mendelsund proposed a paperback cover which was simply a photo of a previously-published paperback’s cover (with a design by Louise Fili). A collage of screenshots from the Wikipedia pages Gold (color), Coral (color), Eggplant (color), Bronze (color), Salmon (color), Rose (color), and Orange (colour).